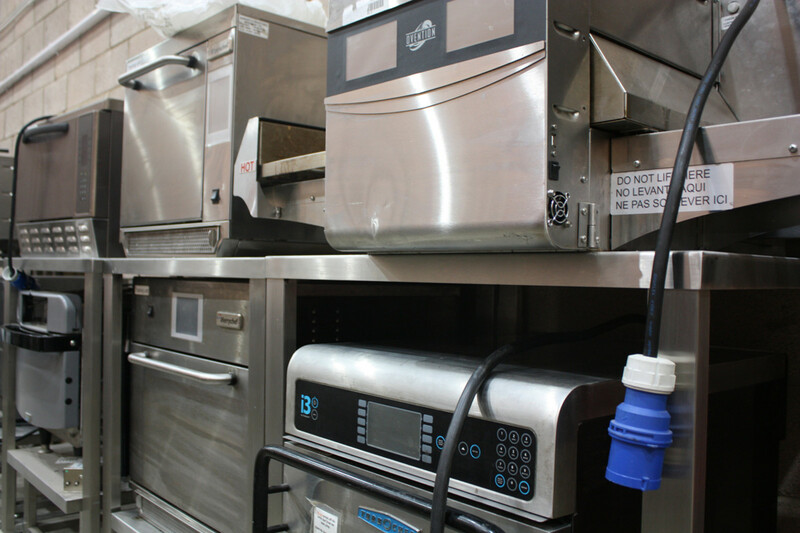 Marren Group is the go-to company for many of the country’s top foodservice operators when ovens and microwaves need fixing or repairing. FEJ visited the company’s new headquarters to learn more about a business that is one of the true unsung heroes of the industry. 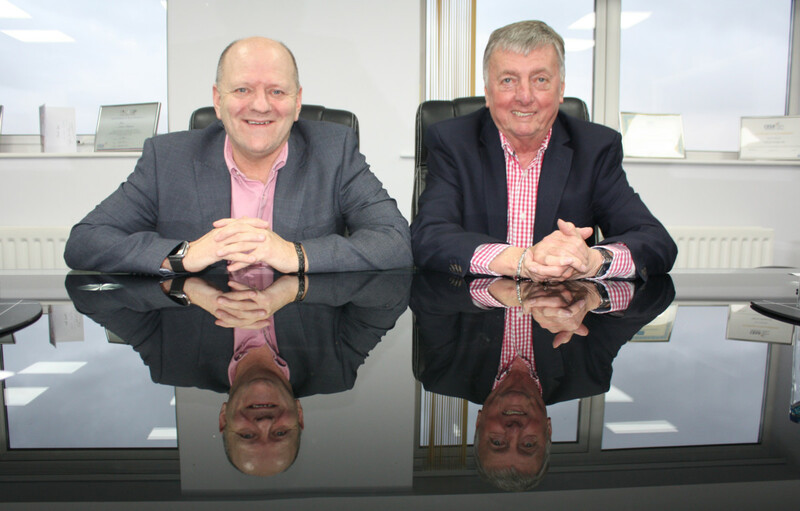 Marren Group’s Bob Clifford (main image, right) can clearly remember being at a Whitbread contractors’ conference some years ago when his contact there introduced him to colleagues and remarked, ‘oh, this guy is interesting, he works out of a little cottage in Northamptonshire’. 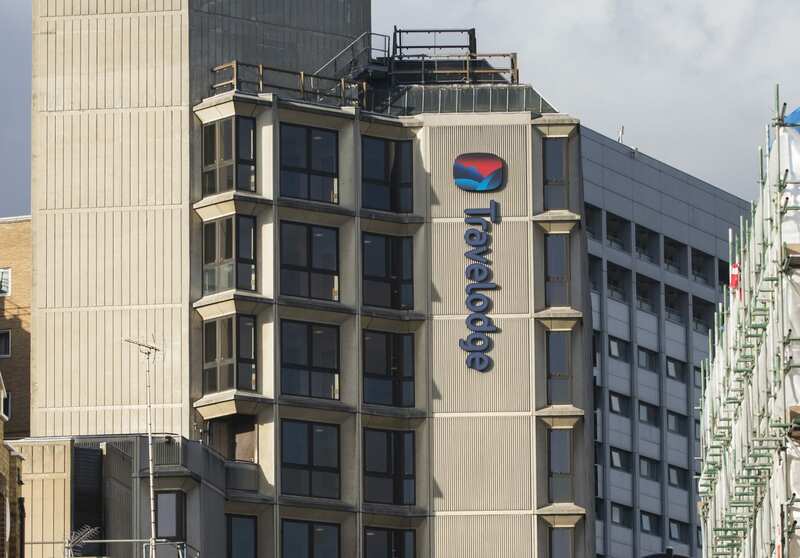 The comment was in no way intended to be disparaging, but it illustrated just how the service and maintenance business could be perceived by anybody that had visited its modest head office. 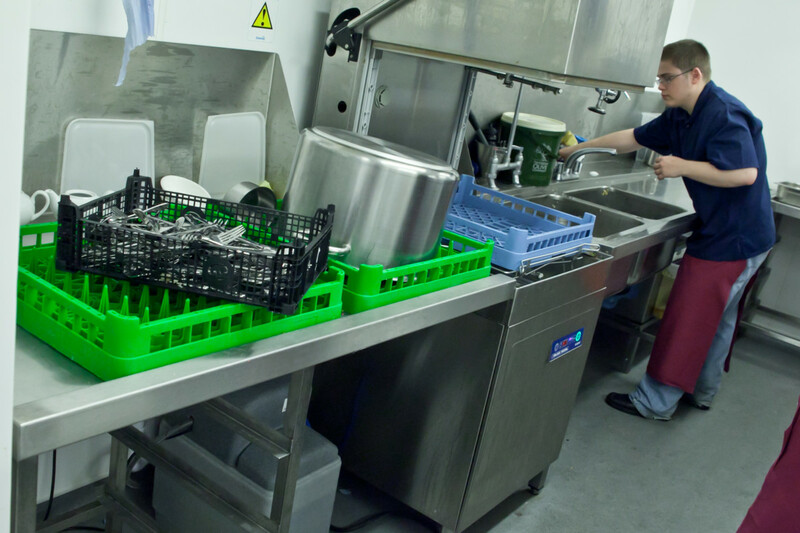 Although it has a client base that comprises some of the most celebrated names in the industry, and a level of expertise in accelerated cooking equipment repairs that few can match, Clifford recalls thinking the business probably needed to change its image. “We were the epitome of looking like a one-man band, so when you start dealing with one or two of the blue chip companies, you want to get away from that image because it doesn’t reflect what you are all about or how successful you are,” he says. Fortunately it is not something the company needs to worry about anymore following its relocation last year to a new two-storey £1.8m HQ in Northampton, which is significantly larger than its previous dwelling and provides ample room for all its office, training and warehousing functions. 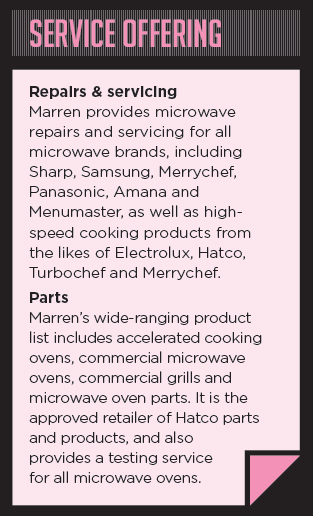 Marren has been repairing accelerated cooking appliances for 30 years. Crucially, it means it can manage new staff and contracts without concern that it will struggle for capacity. “If you take on five engineers you are also going to need two people to deal with the administration of it, but previously we didn’t have enough space to do that. Now we are looking at expanding our business,” says Clifford. Don’t expect the business to suddenly become reckless, though. Marren employed just four service engineers when Clifford started, compared with 60 today, and its growth over the last 30 years has been built on solid foundations and a ‘sure and steady’ philosophy. 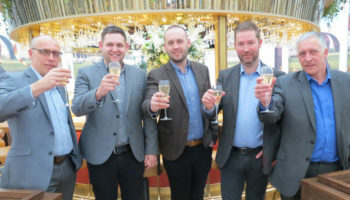 The prospect of Marren having to decline work is certainly less likely in future following the office move, although a glance at its customer list confirms that turning down the odd big contract over the years hasn’t done it any harm. 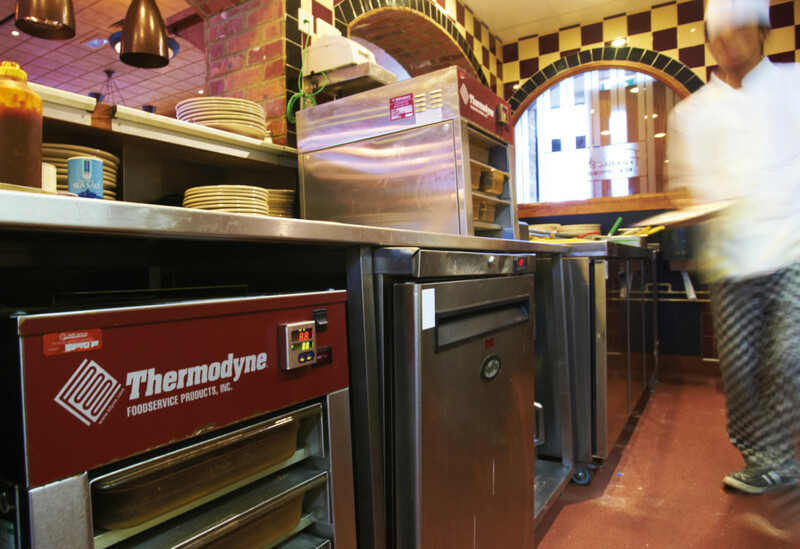 Mitchells & Butlers, Greene King, Whitbread, Starbucks, Caffe Nero, Welcome Break and Moto all rely on Marren to fix and maintain commercial microwaves or high-speed ovens and grills. “I used to drive my kids nuts if we were in London at Oxford Circus or Covent Garden. It would be, ‘oh, that’s one of ours’ and ‘see that Costa over there, that’s one of ours too,” laughs Clifford. Marren is keen to capitalise on the extra capacity that its new HQ affords it by expanding beyond its core business. 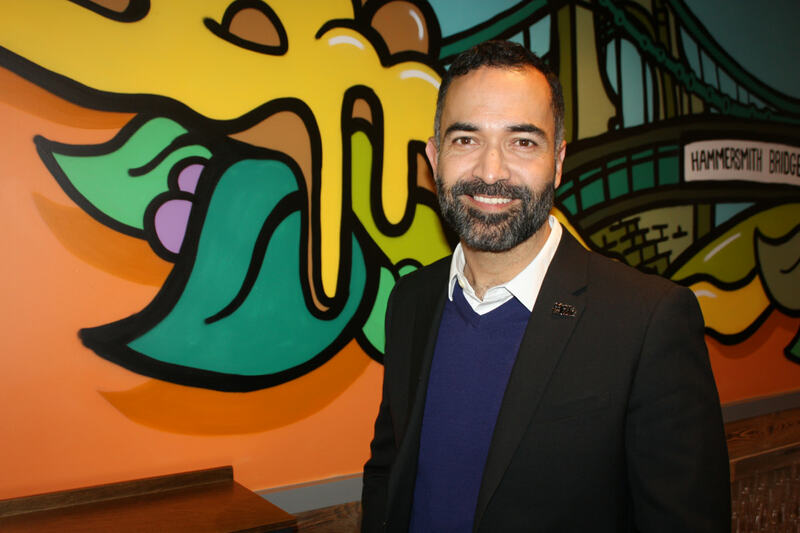 “I think what we are going to try and head for is maybe the smaller people that have got between maybe six and 30 units, that is probably a good market place for us that we don’t really do at the moment,” reveals Skinner. Marren finds itself operating in a part of the market that may often seem peculiar to outsiders. While it would be doing the company a disservice to suggest that its business ultimately hinges on cooking appliances breaking down, there is no getting away from the fact that it exists to help customers in their time of greatest need. Given the view that a ‘make do and mend’ mentality is more prevalent in times of economic hardship, is Marren benefitting from operators seeking to repair rather than replace equipment? 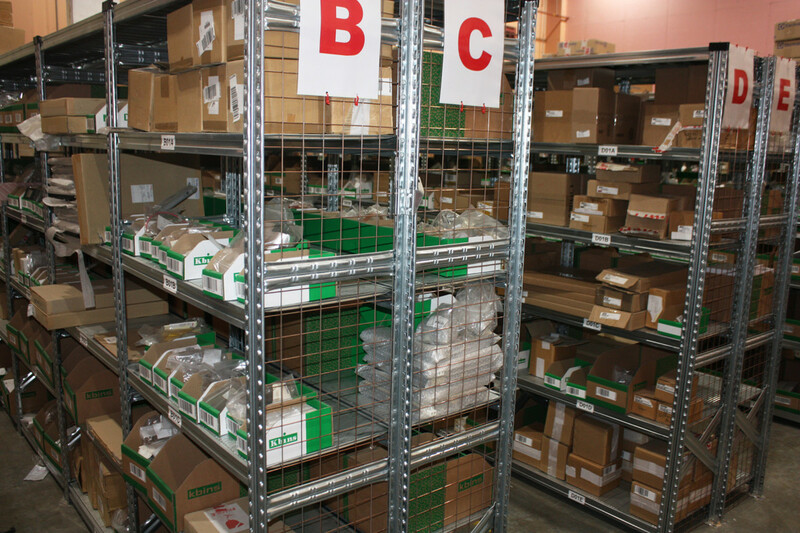 Marren stocks a wide range of cooking equipment spare parts at its HQ in Northamptonshire. 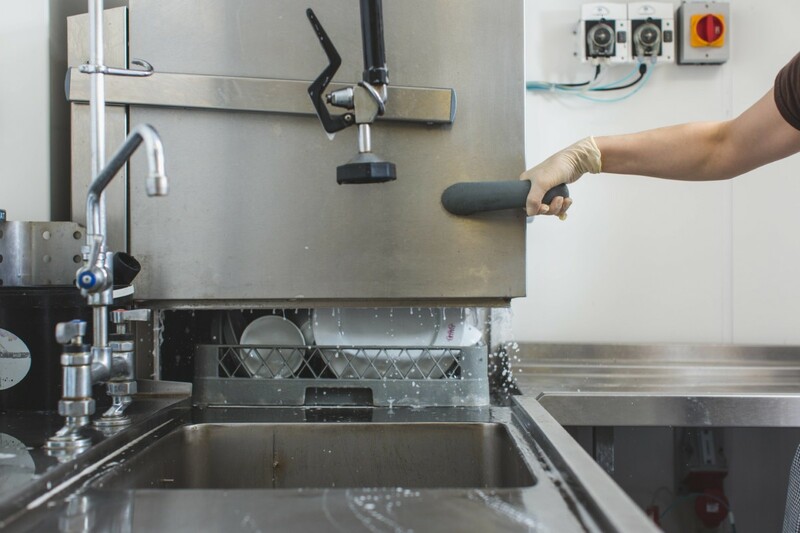 The buzzword in commercial kitchen services for many years has been PPM — planned preventative maintenance. Marren offers PPM contracts and foresees that aspect of its business growing in future, but 90% of its work is currently still reactive. It’s a figure Clifford is comfortable with, particularly as he feels there are inconsistencies in the market’s interpretation of what PPM is. 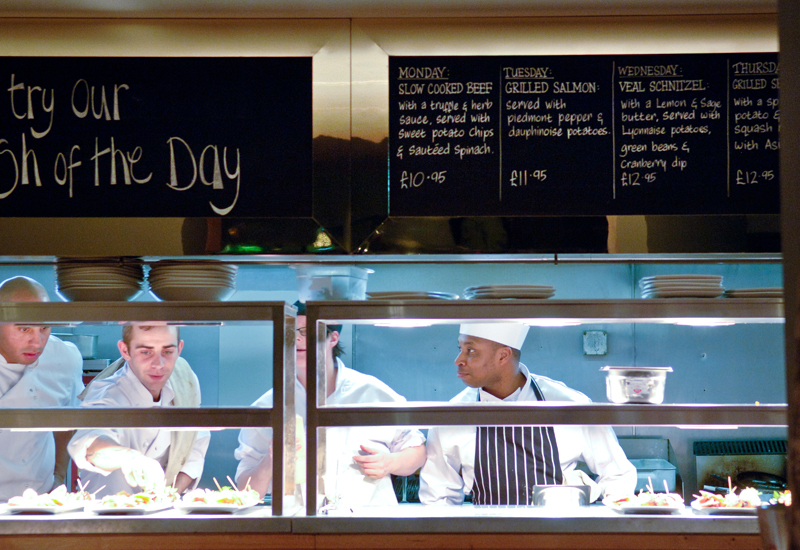 Marren might be used to having to change perceptions, but its reputation for looking after customers’ kitchens remains as assured as ever. What a great organisation, well done Bob and Malcolm. Richly deserved coverage of a fantastic business!. Congrats to Bob, Malcolm and the extended Marren Team. 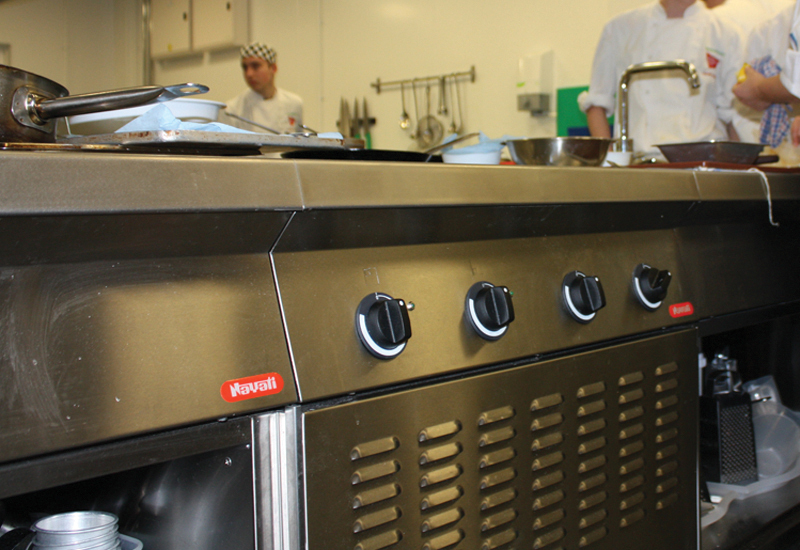 Merrychef and many other speed cooking brands owe their reputation in the UK to the fine service and parts coverage provided by Marren. Keep it up lads! 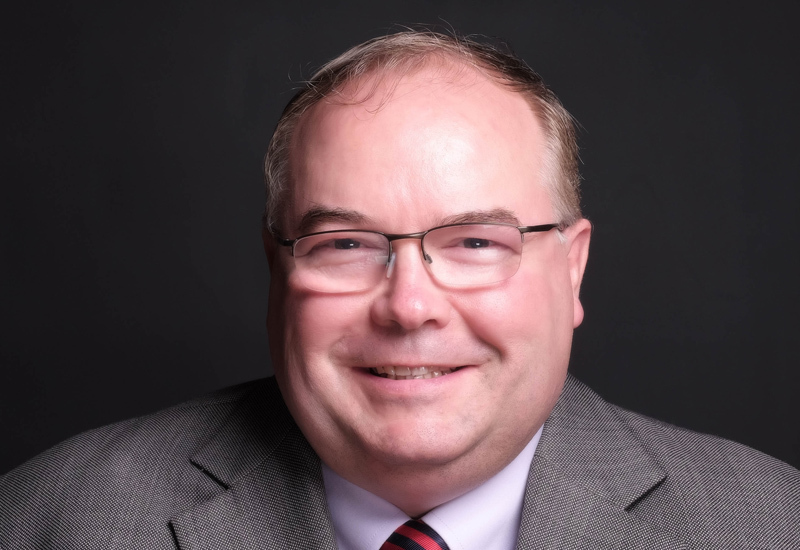 Truly a World Class Leader in the Foodservice Industry. Leading the way in technology, while never losing focus on “customer first” values. They hire first rate talent and know how to keep them happy. A true partner to the manufacturers, dealers and end customers. These folks are the complete package. 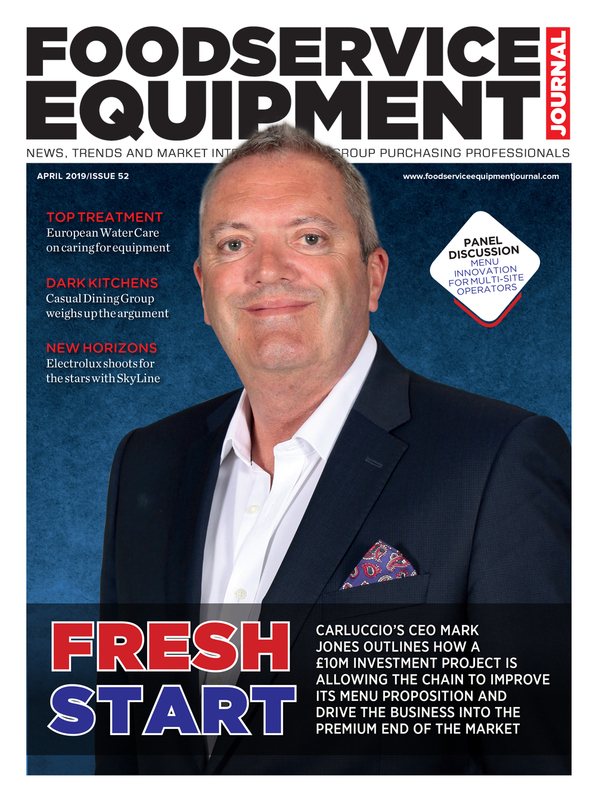 Great to here a fantastic story of a small operation gaining access to large organisations and growing into a large company themselves by doing the job right. I’m trying to do the same with my refrigeration and weee recycling company Recycling4you. Anyone need any help with disposals please feel free to get in touch.